The Russian Foreign Ministry also expressed deep concern over RT’s report on a brutal military crackdown on the civilian population in Turkey’s Sirnak province and supported the channel’s call for a UN-led investigation into the alleged mass killings of Kurdish civilians. “We have voiced grave concern over the report presented [by RT], and in line with your appeals to non-governmental and legal structures, we likewise alerted the UN High Commissioner for Human Rights to the matter,” Russian Foreign Minister Sergey Lavrov told journalists during a joint press-conference with his German counterpart, Frank-Walter Steinmeier. The minister also stressed that Turkey has not ceased its shelling of Syrian Kurds, which is obstructing their fight against the Islamic State (IS, former ISIS/ISIL) terrorist group. “When the Kurds attempt to win back territory from ISIS, they are coming under fire from the Turkish side – which stands in the way of their battle against terrorism,” he said during the press-conference. He also emphasized that the flow of oil from Syria to Turkey and, likewise, the flow of fighters set on joining terrorist groups heading in the opposite direction, still continue, though the volume of IS’ oil trade has been greatly reduced due to the Russian Air campaign, as well as efforts by US-led the coalition. “We insist that a UN resolution banning all trade with IS be enforced – be it oil or artifacts – just as other security resolutions must be enacted to terminate the flow of fighters through the border from Turkey into the Syrian Arab Republic,” the minister said in this regard. 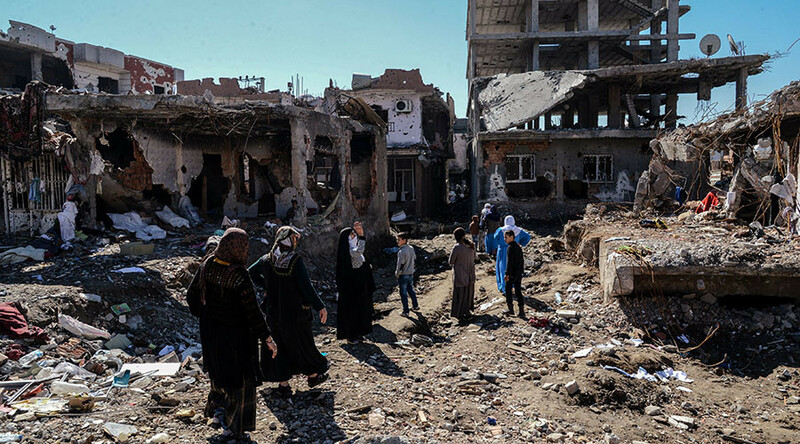 On March 17, RT launched a petition calling for a UNHRC-led investigation into claims that mass killings of Kurdish civilians had taken place in the southeastern Turkish town of Cizre in Sirnak province, which was specifically based on reports from an RT crew that visited the area and found shocking scenes of destruction, while also collecting horrifying accounts of atrocities committed against Kurdish civilians there. According to media reports, the brutal military crackdown on the civilian population in the city included the slaughter of hundreds of civilians, about 150 of which were allegedly burned to death. Witnesses who had survived the Turkish military crackdown provided members of RT’s crew with terrifying details on what had happened in Cizre, while pointing out to them the sites where the alleged mass killings had occurred. RT submitted the report to Human Rights Watch (HRW), the international and Middle East branches of Medics Without Borders (MSF), the International Committee of the Red Cross (ICRC), the Office of the United Nations High Commissioner for Human Rights (OHCHR), and Amnesty International. 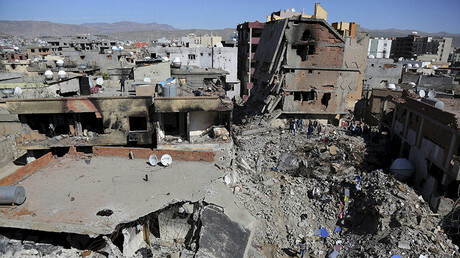 The ICRC said they do not have a Turkish office and, thus, cannot investigate the situation in its southeast. The UN Human Rights Commissioner’s office in Geneva only offered a press-release dated February 1. 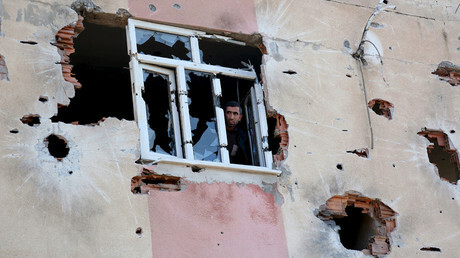 On March 21, MSF’s representative in Turkey replied to RT, saying “MSF does not have a team in the area, and thus do not have the capacity to assess the situation on the ground,” adding that “MSF’s principle is not to comment on any situation without directly bearing witness.” The rep went on to state that MSF would not conduct any investigation, as it is not a human rights organization. On the same day, Amnesty International promised to examine the facts outlined in RT’s petition after the NGO’s “selective” approach was criticized by Russia’s Foreign Ministry. Gardner also confirmed that there is clear evidence that “young children, elderly people, people who clearly were not fighters,” were killed during the crackdown. 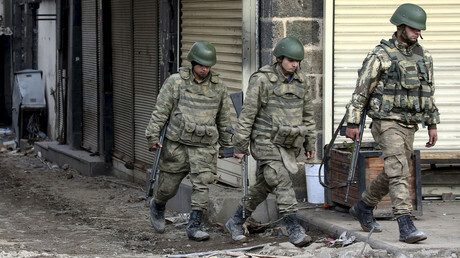 In the meantime, a French MEP and a German lawmaker have also called for an international investigation into the alleged grave and large-scale human rights violations in Turkey’s southeast. On Wednesday, German MP Sevim Dagdelen, a spokesperson on International Relations for the Left Party and member of the Foreign Relations Committee of the Bundestag, called for “a prompt and extensive international investigation into the allegations” of mass killings of Kurdish civilians.